Before sunflowers became my favorite, it used to be yellow tulips. When it comes to flowers, yellow have always been a preferred color for me. Personally, I don’t buy flowers often, so when I do, it’s usually a special occasion. Looking at yellow flowers really make me feel happy and that’s why, over the years, sunflowers have come to have a special place in my heart too. When I first started dating my boyfriend a few years go, there was one summer where he sent me a postcard of a field of sunflowers from Japan. It really didn’t mean much then but, I thought it was cute that they made him think of me. Since that postcard, it became a tradition that he would get me sunflowers for my birthdays, monthnaversaries, anniversaries and any type of special occasion (he still buys me yellow tulips on Valentine’s day). 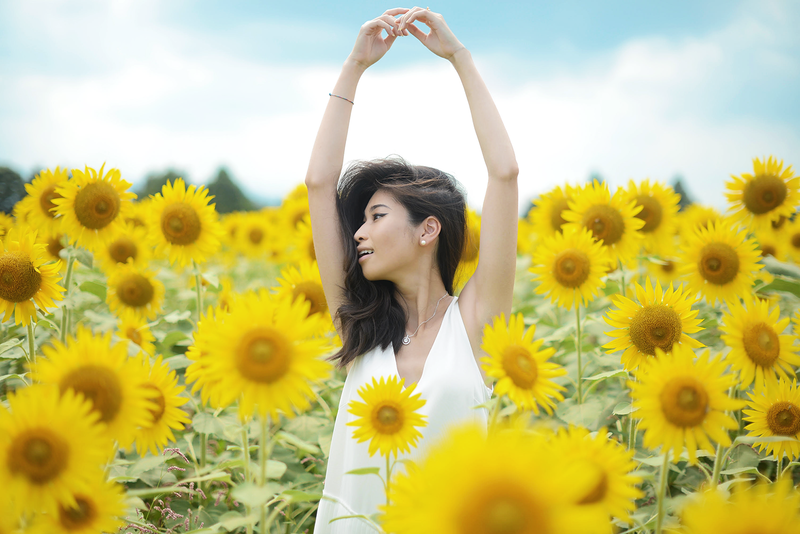 This summer while visiting him in Japan, it happened to be the perfect timing that the sunflower fields were fully bloomed and opened to the public. 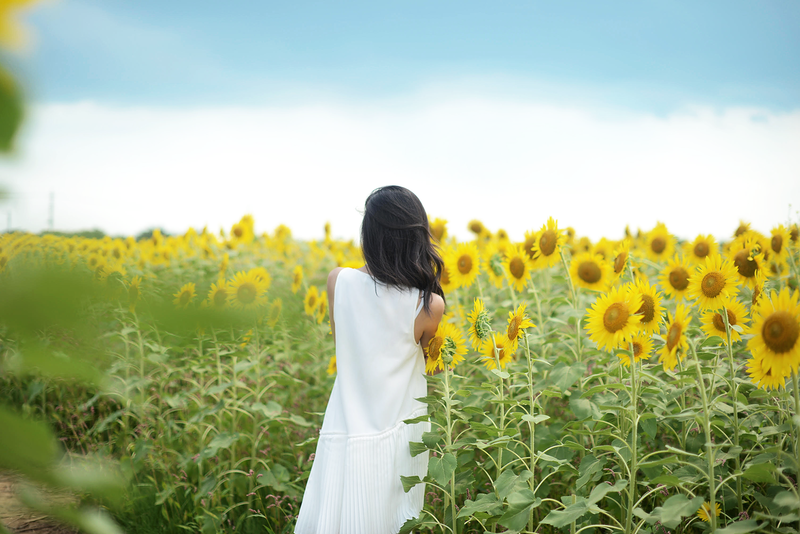 On the day of my birthday, we woke up really early to commute from Tokyo all the way to Zama, Kanazawa to see the sunflowers. When we got there, it was scorching hot. We tried to take some photos but it was impossible with the sun. 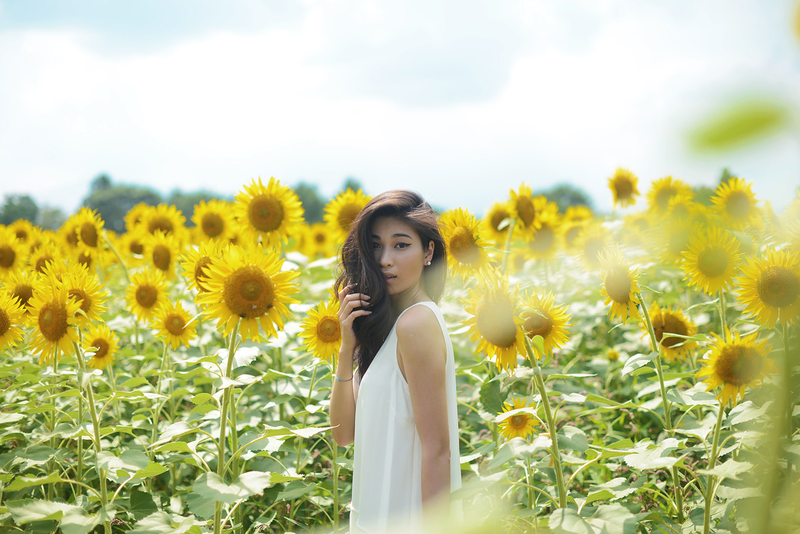 While these photos were really some of my favorite photos ever, sunflower fields are not as glamorous as they seem to be. There were bees everywhere and the dirt roads were not good for my shoes. Not to mention, it started raining on us right after we waited for the sun to go away. 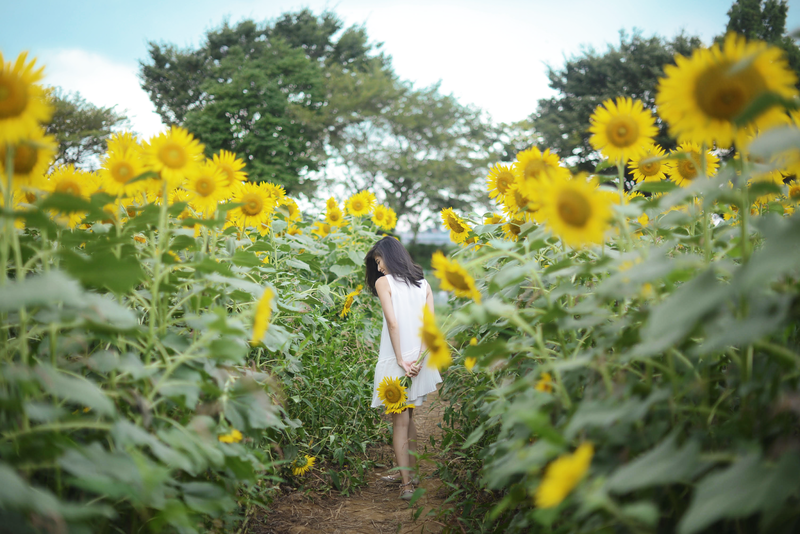 Nevertheless, it was really fun to just get lost in acres and acres of sunflowers with shaved ice and takoyaki balls that were sold at the food stands on the sunflower farm. The older I get, the less people I tend to want to spend my birthday with. This year, I found it somewhat comforting to be far away from home. It’s not that I don’t appreciate my family and friends, but it’s more of a day where I want to be alone and reflect. It couldn’t have been more meaningful, especially with everything that has been going on for me this year, to be at a place that reminded me that I need to keep going. Because like sunflowers, that grow just looking solely at the sun - I too, just need to keep going towards the light.